The third and last day of Sapphire Now in Frankfurt started for me with a round table with SAP CTO, Vishal Sikka, during which he emphasised several times that Netweaver was still SAP’s supported platform and that it’s staying. It was good to have this confirmation, as Jim Hagemann Snabe’s keynote on Tuesday didn’t mention the work “Netweaver” once. Moreover, Snabe talked about a “future stack” and SAP having talks with “software vendors about it”, which initially brought a little confusion to the community. Then there were of course the much anticipated keynotes from Sikka and Hasso Plattner. A lot of what Vishal was talking about had already been touched upon at the round table earlier in the day. On In-Memory, I think the community was suprised and even delighted to hear that support for the product goes all the way back to SAP 4.6c. Vishal also talked about “Project Gateway”, which seems to be a key to SAP’s On-Demand ambitions for the “normal” ERP world. The next weeks and months will hopefully provide further clarification on Gateway. Sikka also mentined an internal SAP challenge back in March 2010 to produce 500 mobile apps. Up to Sapphire, more than 600 have now been developed (not all of these published though). It would have been nice to see and hear more about this, but I’m expecting more on this soon. Plattner’s keynote was more of a dive into In-Memory Database, rounded off with a demo of In-Memory Analytics within a little real world scenario. Plattner delivered it in his usual off-the-cuff style which can be very entertaining. It certainly demonstrated the power this sort of technology has, especially its non-disruptive nature. Biggest take away for me on day 3 was Business By Design (BBD) though. At a round table with SAP Go-To Market SVP Markus Schwarz and Eric Luengen we were given a demo of BBD version 2.5, the latest version of the on-demand SME solution. It was the first time I had seen BBD in the flesh and I have to admit that I liked UI look and feel (I know that the UI is not everyone’s cup of tea). Customers should basically be able to re-configure simple things in their system themselves, whilst more complex changes or additions/extensions would be developed by an SDK to be released later this year. The SDK will be based (as mentioned before by Anne Petteroe) on the Microsft Visual Studio and C#. Dennis Howlett mentions some concerns around the possibility of SAP outsourcing the BBD infrastructure to third parties. 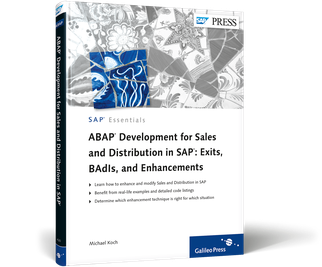 Once SAP’s BBD team has found a good way how enhancements and plugins developed with this SDK can be marketed, there could be a big potential for a new or enlarged partner ecosystem. Let’s also hope SAP’s marketing efforts are strong enough to get all of this off the ground, as Dennis points out (he knows more about SME SaaS than me). On the whole, it was a good and down-to-earth SAPPHIRE for me. I was expecting more fluffy, hot air type of stuff, but actually walked away with more hands-on info than I thought. This is also down to the great work of Mark Finnern, Craig Cmehil, Oliver Kohl and also the SAP Global Communications team. Altogether they provided very informative 3 days for me in Frankfurt. Thank You to you all! This entry was posted in SAPPHIRE. Bookmark the permalink.